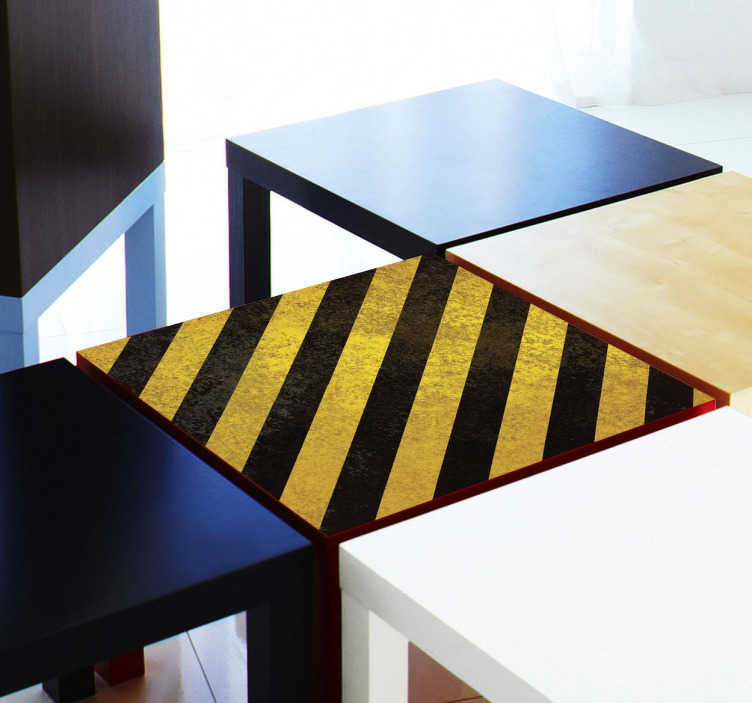 Decals - Decorate plain and dull furniture with this yellow and black diagonal strips decal. Add a fresh touch to your home decor. Stickers made from high quality vinyl. Easy to apply and easily removable leaving no residue. Ideal for customising IKEA furniture - LACK series. Available in various sizes. For custom sizes contact us at info@tenstickers.com.